The best way to complete your Financial Statement (always known as Form E) is a fairly large subject and will take up a few blogs - it is unfortunately a rather complicated form. What I hope to do is to be as comprehensive as I can, and to take you through the process from start to finish. If you are organised and follow what I say your Form E will become manageable. This post provides some background information you need to know on what Form E is and why it is needed. 1. What is Form E? Form E is a 27 page Court Service form (download a copy here). Each of you completes a copy separately, listing your assets, liabilities, income and living costs. 2. Why is it needed? Form E is the best method the family law system has come up with to provide ‘disclosure’ – this means providing the other with (mostly financial) information so you end up with a full picture of your financial situation. As I have said before you cannot properly resolve your finances unless you each know what there is to split. This applies whether you are trying to come to an agreement outside the Court process or do end up going to Court. 3. Who is it used by? Usually by solicitors. Therefore if you are a litigant in person (i.e. not represented by a solicitor) but your ex-partner is represented by a solicitor then you will be asked to provide a Form E.
If you each have solicitors, the same applies. 4. How is it used? Form E is used in 2 main ways. Outside the Court process - within the voluntary disclosure system, where you agree to provide disclosure by exchanging Forms E with each other. You then use the information in the Forms E to come to agreement on sharing your finances. 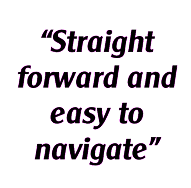 Within the Court process - where, after issuing your Form A (see the step-by-step guide here on doing that), the Court will set a timetable to take you to the First Directions Appointment. The first step of this timetable is for each of you to complete your Form E, file it at Court and exchange it with your ex-partner. The key to resolving your finances quickly, cheaply and effectively is to complete your Form E in as comprehensive a way as you can. I advise my clients to ‘over disclose’ - that is to put more in Form E than is strictly necessary, so that there is as little doubt as possible about the assets, the liabilities and your income. Aim to fill in your Form E in such a way that any reasonably competent stranger who looks at it would be able quickly and easily to understand the nature of your financial situation. In a later post I will go into the detail of how to complete each section of Form E.
Form E requires a whole host of documents to be attached to it. Make sure you are assiduous in collating the documents without gaps. For example, when you are asked to produce 12 months bank statements check you do so without missing any sheets. Again, the principle here is to minimise requests for further information by your ex-partner. The more you supply to begin with the less time your case will take, and the less it will cost you – whether you are in the Court system or not. 7. Completing a Form E is a normal part of reaching a financial agreement: don’t be scared or angry at the thought of it! It’s important to remember that even if you are outside the Court system a request by your ex’s solicitors for disclosure by Forms E is not an aggressive step on their part, but a very normal part of the process. Many people ignore requests from their ex-partner to fill in a Form E – so the ex-partner then feels they have no alternative but to issue finance proceedings at Court. This means the whole process becomes more drawn out and expensive for both sides. My advice is to relax about preparing a Form E and realise that it is a perfectly normal and essential part of the process. If you have got that fact in your head it will keep you focussed on the fact that Form E is there to help you not to hinder you! In my next post I will go into the nitty gritty of exactly how to complete each part of Form E.
9. Are there alternatives to Form E? If you are both litigants in person (i.e. don’t have solicitors) and want to go through the disclosure process, then Form E isn’t necessarily the best way to do so – it is complex and asks for a lot of information that isn’t needed. 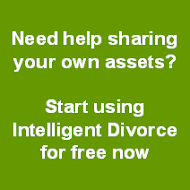 Intelligent Divorce offers an online alternative to the disclosure process, with lots of help and advice, and provides you with a neutral view on outcome too.